There are several factors that you need to keep in mind when buying the best wallets for men. Start by considering the quality of the materials. The best wallet for men is made of high-quality materials that last longer, preferably leather. Secondly, think about the size of the wallet. You will want to pick a slim wallet, as most guys do not like carrying big wallets inside jean pockets. Look for wallets where pride in workmanship is evident. If you are shopping for a new men’s wallet, consider these top choices. Skillfully crafted from rich leather, this model from Distil Union is one of the best wallets for men who prefer carrying their wallet in the front pocket. While it is remarkably slim, the wallet has enough room for everything you need: credit cards, bills, IDs, insurance cards. The Pull-Tab design provides easy access to your items while the adjustable money clip provides ensures the security of your money. Discreet and elegant, this wallet will be a joy to use every day. 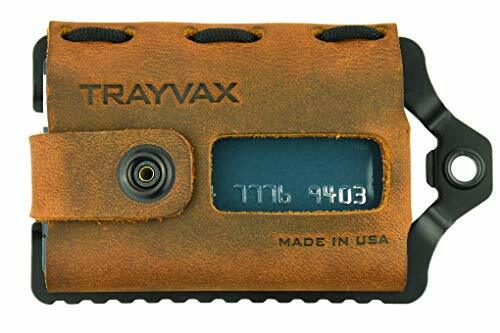 The Trayvax Element Wallet is constructed in the United States of top-grain leather. It has a bead-blasted stainless steel frame. This wallet has room for 12 credit cards and five bills inside. As such, it is one of the best wallets to protect credit cards. The leather requires a short break-in period allowing it to remain soft and flexible. The sturdy snap helps keep everything secure inside. The leather strap adjusts, depending on the contents carried in the wallet. It is one of the best leather wallets for men under $100, making a great Christmas or corporate gift. Saddleback Leather Front Pocket ID Wallet lets users scan work or student identification badges with ease without opening the wallet. This wallet is made from durable full-grain top leather. Marine-grade thread is used for all stitching. This minimalistic wallet measures 0.2 inches by 4.2 by 3 inches, and is one of the best slim wallets for men. An interior pouch allows users to keep up with receipts. This bi-fold wallet is very durable, and one of the best wallets for men under $50. This is another elegant option for those looking for the best slim wallet for men. Although it measures as little as 3 inches tall x 3.7 inches wide, it offers enough storage for those with a minimalist approach. The wallet is better suited for those who carry mostly their credit cards, and not so much cash. 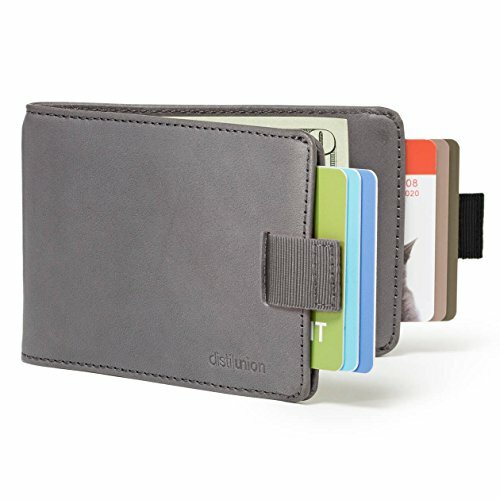 With a very slim profile, it can store 4–12 cards and folded bills. 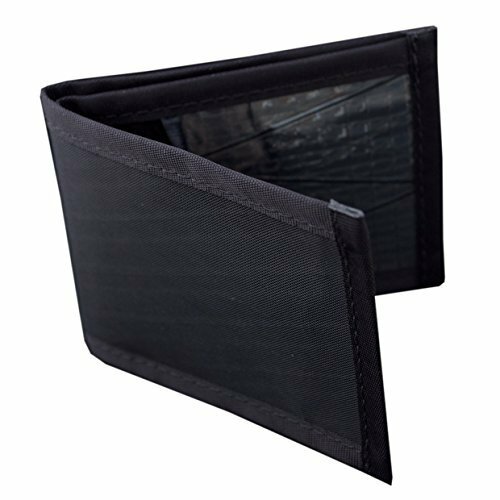 Surprisingly convenient for such a small item, this product is a good choice for businessmen looking for the best bifold wallet. This male wallet made of nylon-webbed X-Pac material is constructed in Maine. The Flowfold Vanguard Front Pocket Bi-fold Wallet weighing less than an ounce carries up to 14 credit cards, and it has a pocket for currency. This bi-fold wallet’s profile is as thin as two credit cards. Never worry about losing this wallet as it floats, and it is constructed to be water resistant. It is made of unique materials, that make it ultra lightweight. The original design makes suitable for hipsters and artists. 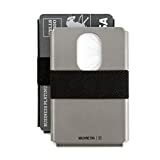 The Machine Era Company Ti5 Slim Wallet built of titanium offers RFID protection helping ensure credit card numbers cannot be remotely lifted. 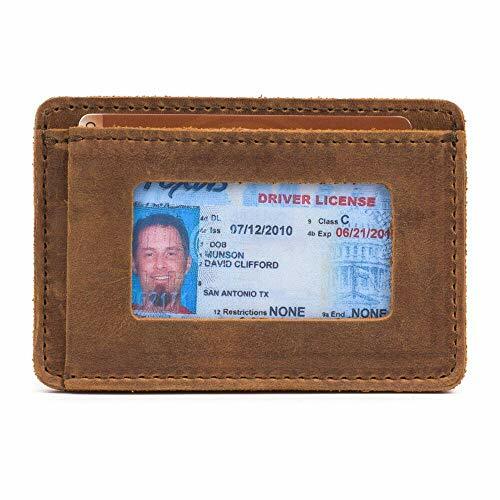 As such, it can be considered one of the best men’s security wallets on the market. It has room for seven credit cards, so it is one of the best cardholder wallets for men. The use of titanium also ensures this wallet will never corrode. Weighing just 0.6 ounces, it is ultra light and durable. The thumb-opener on this wallet doubles as a bottle opener. It offers a wide elastic closure. This leather zippered wallet contains plenty of space for all the essentials. Leatherology Small Zippered Wallet measures 4.25 inches high and 4.25 inches wide. This wallet has three interior pockets. Never fumble with loose change, because the change pouch easily holds it tight. Slots for four credit cards allows users to keep essential cards at hand. A silver zipper allows the wallet to be securely closed. Protect your information with RFID protection. 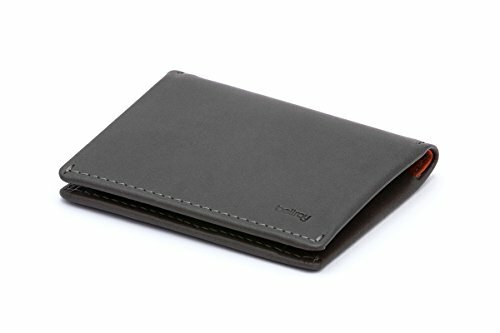 This is one of the best leather wallets for men under $100, and can make an elegant Christmas, corporate, retirement or birthday gift. 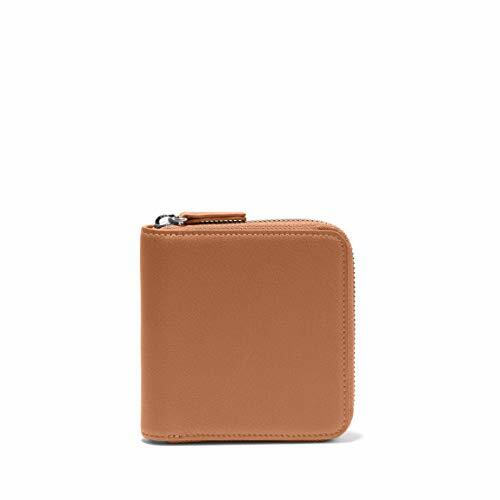 This Walnut & Leather iPhone Wallet Case does double duty, as it protects the iPhone while allowing users to keep up to six credit cards easily at hand. Each wallet is handmade in Portland, Oregon. The difference in the top-grade leather and the natural tanning process makes each wallet unique. This wallet can be folded flat or used upright depending on how you want to use your phone. It is one of the best gadget wallets for men you can find on the market! 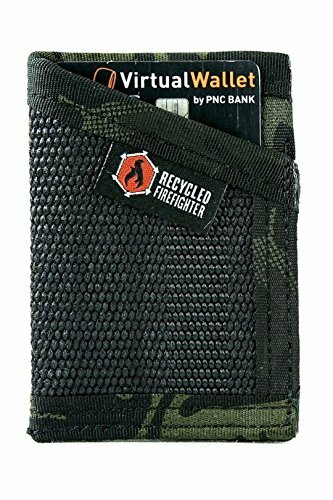 Made from a recycled polyester fire hose, the front-pocket Decommissioned Fire Hose Wallet features a military specification front elastic money clip and webbed binding. The elastic holds up to 60 bills folded in half, while easily returning to its original size after use. Further ensuring they last a long time, they are hand sewed with T-90 nylon thread, requiring 15 pounds of force to break the thread. Their slim design holds from four to eight cards. It is one of the best wallets for men under $50, suitable for sporty guys. The best wallets for men are not hard to find when you consider the choices on this list. Depending on your tastes, and lifestyle, you can find slim and sporty wallets, as well as elegant, leather wallets, suitable for businessmen. Those who are looking for a quality gadget wallet will want to take a closer at the number 2 item on our list. If you want to stay within a certain budget, our list includes both cheap wallets, under $50, and more expensive options. Last, but not least, if you are looking for a gift for a special men in your life, any of the wallets in our list could be a good option in many occasions. If you have a product to add to our list top rated wallets for guys, tell us. Alternatively, if you have experience with these best wallets for men, inform us about it.